Maria is a Dallas native and former investment banker. Specializes in the sale of new and existing homes, servicing the DFW Metroplex. 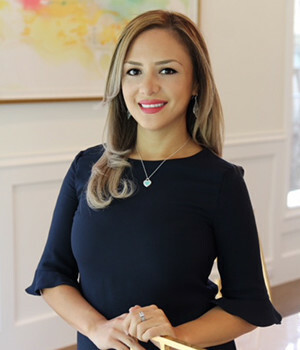 Prior to real estate, Maria’s background is in Finance. Where she managed affluent clients’ financial and business needs. Following her childhood dream, she successfully launched her real estate career. With her extensive training and knowledge, it equipped her with the needed expertise to gain trust and referrals from her family and friends. She carries strong negotiating skills and an impeccable awareness of client satisfaction. Her down to earth attitude makes it easy for her clients to feel at ease not only with her but also with the entire buying or selling process. In her free time, she enjoys spending time with family and friends, traveling to foreign countries, reading, and maintaining her fitness. Grateful for her family, friends, and past clients who refer her new clients throughout the years.